So Open World 2016 has come to an end. But before the curtains fell, there was still some activity and interesting PeopleSoft sessions to attend. 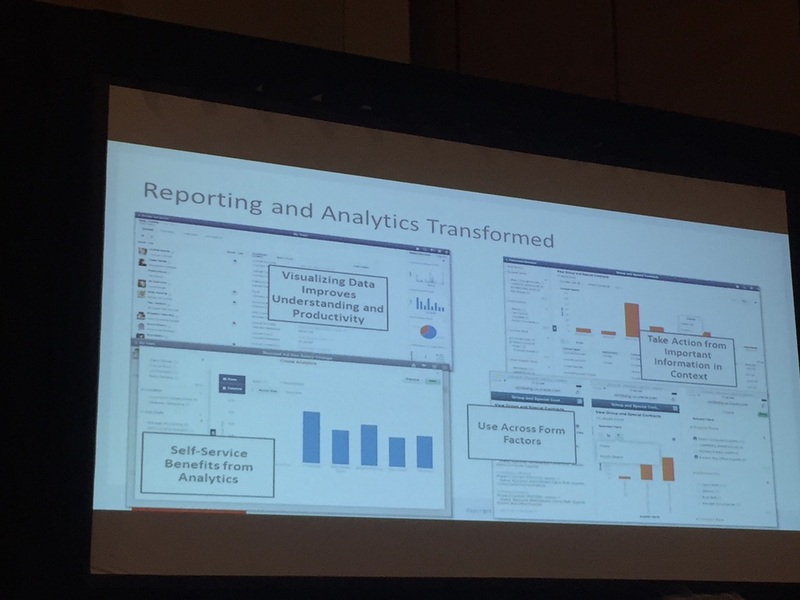 My day started with a session name Getting the most Out of PeopleSoft - Reporting and Analytics [CON7075] with the participation of Matthew Haavisto, Jody Schnell and Ramasimha Rangaraju. Reporting has evolved a lot in the last few years, and not only in PeopleSoft. Gone are (or should be) the days in which a report meant a PDF or a print out. Today reporting is not only interactive but also actionable. I actually delivered a presentation on this topic back in April 2016 at the PeopleSoft Tour in Madrid. I later recorded it in YouTube, but unfortunately it is only available in Spanish. 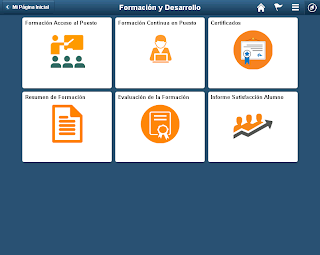 PeopleSoft is not an exception to this reporting evolution. Tools like Pivot Grids, actionable charts and Simplified Analytics all point to the same direction. Unfortunately, not all users are ready for this transition, as I have heard from many customers that upper management do not want to use a digital device to access the reports, so they still prefer the printed alternatives. And yes, I'm writing this as of September 2016. The ability in PeopleTools 8.55 to generate submittable PDFs using BI Publisher. This functionality is particularly useful for government forms, but can also be used to gather and process ad-hoc data from users. 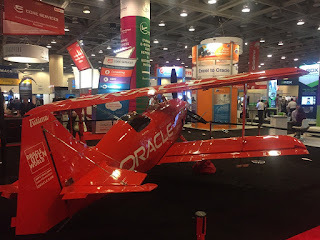 Oracle JET has been adopted as the charting engine, giving PeopleSoft a more consistent user experience with other Oracle products. 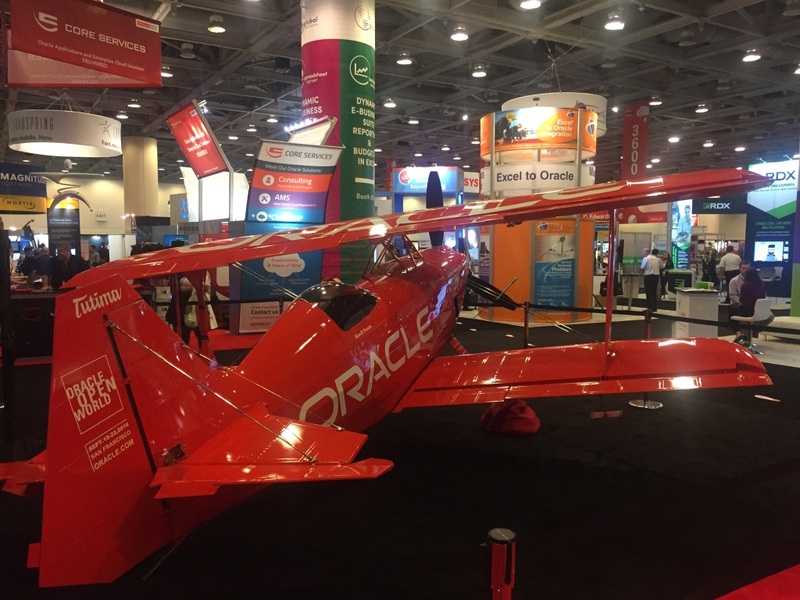 Given the amount of development effort dedicated to Oracle JET charting features, PeopleSoft may take a quick benefit a rapidly evolve its charting capabilities. The introduction of Self Service Scheduling simplifies the execution of reports by linking them to pages and hiding the complexity of run controls to users. 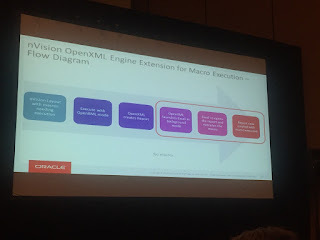 Another point I found interesting was the explanation of how macros adversely affect PS/nVision performance, as they require PeopleSoft to execute them twice, first using the Microsoft recommended openXML method and then, as the first does not support macros, using the traditional PeopleSoft Excel automation. Interesting to know! The next session was one of my preferred ones, as it consists of several round tables where you can directly talk to the PeopleTools development team. It is also useful to hear the concerns and doubts of customers and partners. There were plenty of questions about Fluid User Interface, Cloud Architecture, Lifecycle Management and so on. If you ever attend Oracle Open World in the future, I strongly recommend this session. Just after lunch, the next session was this classic of Oracle Open World. It consists in an open discussion between the PeopleTools Product Team and customers and partners. It is always interesting to attend this type of sessions and listed to thoughts and ideas from the PeopleSoft community. My last session was Hands-On with PeopleSoft: Develop Practices to Harden and Protect PeopleSoft [CON7074] delivered by Greg Kelly. The presentation was basically around the Securing Your PeopleSoft Application Environment document available here. I found it really illustrative, and taking into account my rather shallow knowledge of security, rather scary :). Next time I will make sure I prepare myself upfront to take more advantage of Greg's wide knowledge on the area. 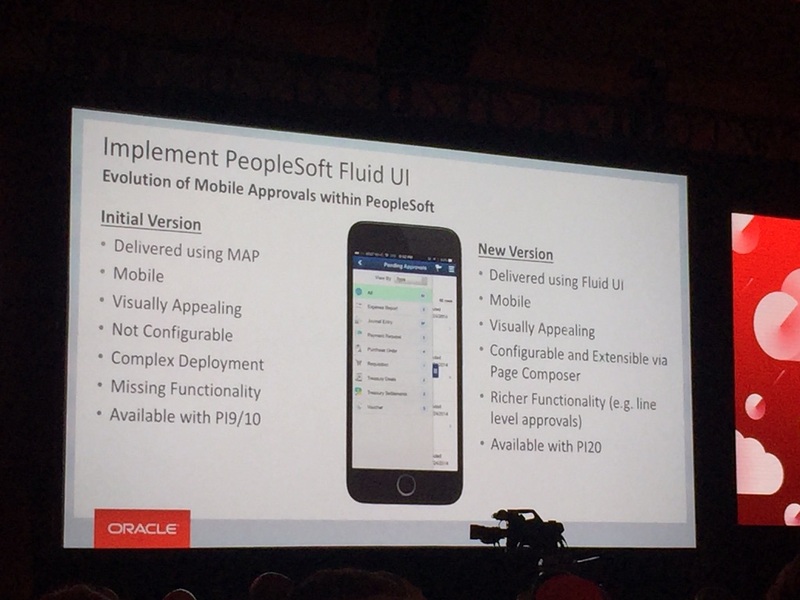 This was an interesting edition of Oracle Open World in what is related to PeopleSoft. There were not many announcements made since the last edition. 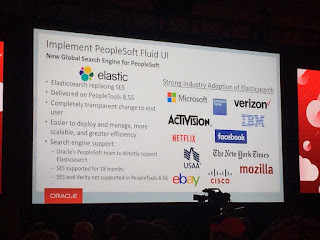 Still, I think the PeopleSoft team at Oracle is doing a great job. This is still a great product indeed. From a more personal standpoint, this was great event in terms of networking. 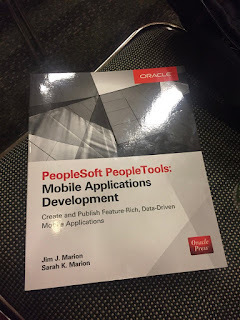 Being able to meet PeopleSoft talents such as Jim Marion, Graham Smith, Sasank Venama and many others including the PeopleSoft development team is always the best way to nurture and trigger new ideas. Just my two cents. Thanks for following this blog during this event! PS: I bought Jim Marion's book from the bookshop at Moscone South and have a good deal of fun and learning guaranteed for my flight back to Madrid. 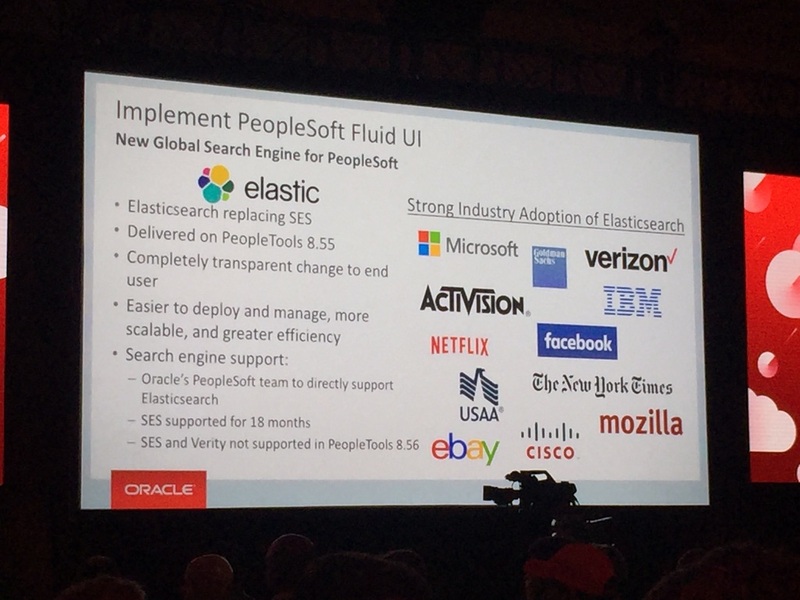 We are now at full steam in what regards PeopleSoft at Oracle Open World. 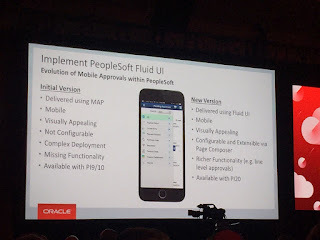 As my jet lag gets better (today I woke up at 4.30am, quite an achievement), so does the announcements at the PeopleSoft specific sessions. The day started with a general keynote facilitated by Safra Catz and Thomas Kurian. I have found the second part most interesting as it went deeper into the announcements made last Sunday by Larry Ellison. 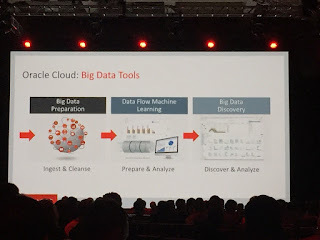 Compared to my last presence at OOW two years ago, it is quite noticeable to see how some technologies such as Big Data have now made their way to the headlines while others like Docker have appeared apparently from nowhere. This is what I like about the IT industry, the pace of change eliminates any possibility of boredom. General Session: Today’s PeopleSoft is Intuitive, Powerful, and in the Cloud [GEN5077] delivered by Paco Abrejuan. PeopleSoft Technology Roadmap [CON7061] by Jeff Robbins. Hands-On with PeopleSoft: Value of PeopleSoft in Oracle Cloud [CON7072] also by Jeff Robbins. The first session outlined the most significant functional and technical enhancements that we should expect in the near future, while Jeff focused in more detail in some of the technical ones. This is probably the area that concentrated most of the announcements. 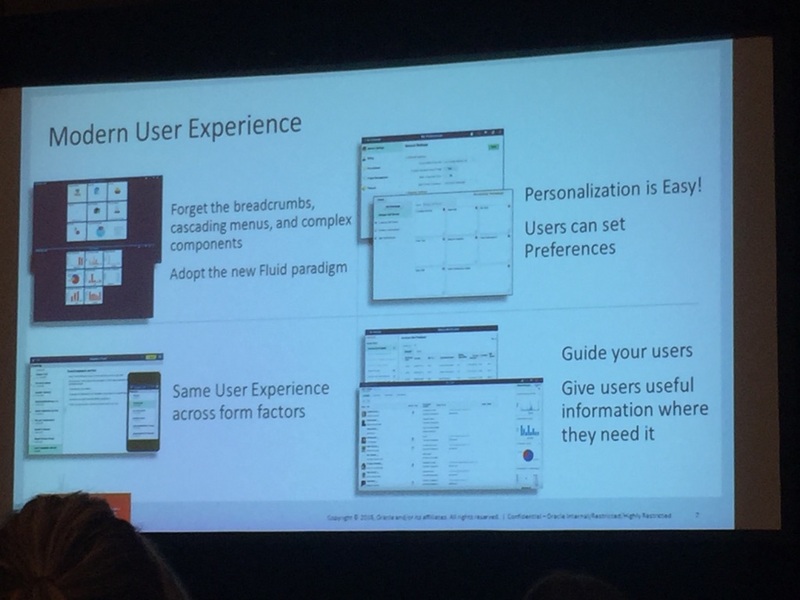 Every enhancement is now using Fluid UI, so its adoption seems to be the best way for customer to protect their PeopleSoft investment. The Expenses module is now present in Fluid UI. This was one of the first mobile-enabled modules, although it was originally built using iScripts, which made its maintenance rather difficult. 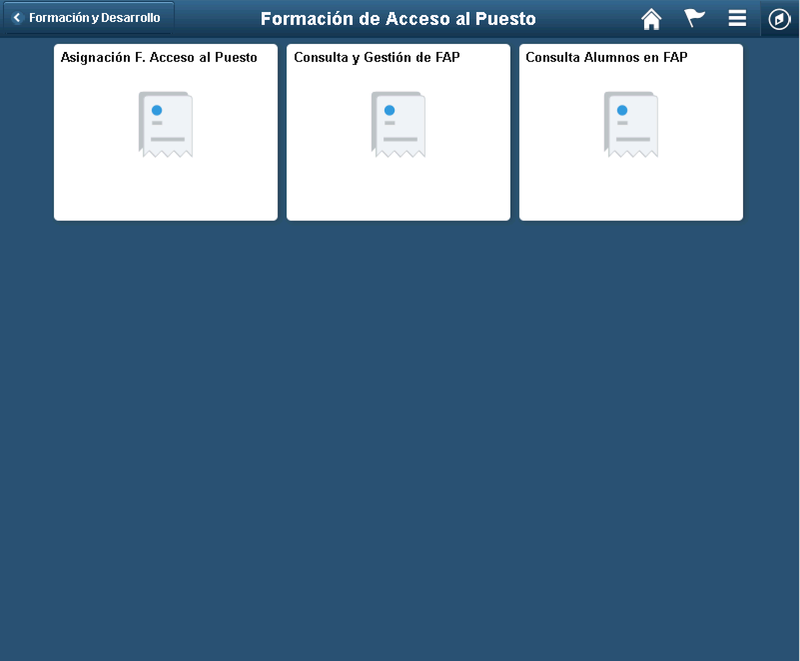 The new pages in Fluid look much better and I'm sure it will be easier to maintain. A new Classic Plus style will be delivered in PeopleTools 8.56, giving traditional UI pages a closer look and feel to the Fluid UI ones. This stylesheet will not make these pages responsive, but it should significantly improve the user experience when navigating back and forth Fluid and traditional UI pages. ElasticSearch will be replacing Oracle SES as of PeopleTools 8.56, meaning that both SES and Verity will be deprecated. I cannot say I'm sad about these news. 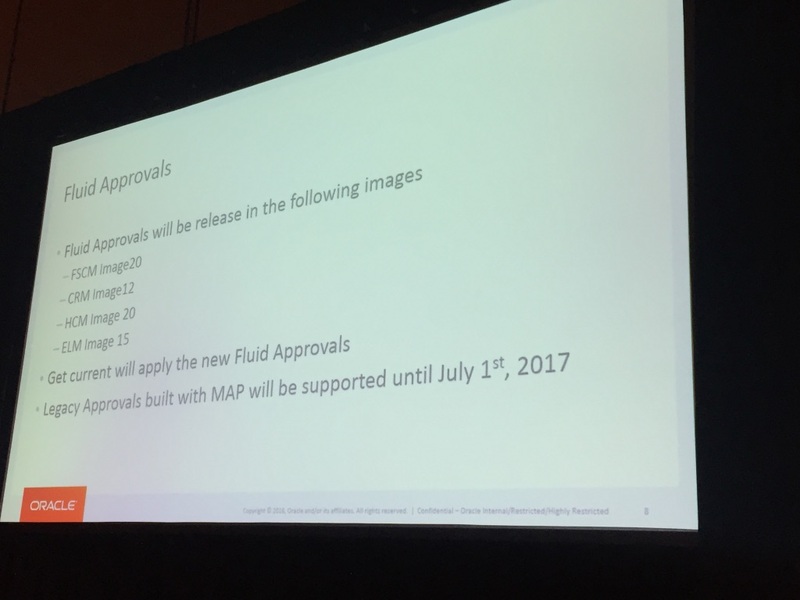 Mobile Approvals will now be implemented in Fluid and not MAP. This does not necessarily mean a different look, but it should make the maintenance simpler, as from my point of view MAP is more complex to debug when comparing to Fluid. Related to Mobile Approvals but extensible to other pages is the new Page Composer, a fancy tool allowing to create and modify pages from the web browser. Amazing, isn't it? 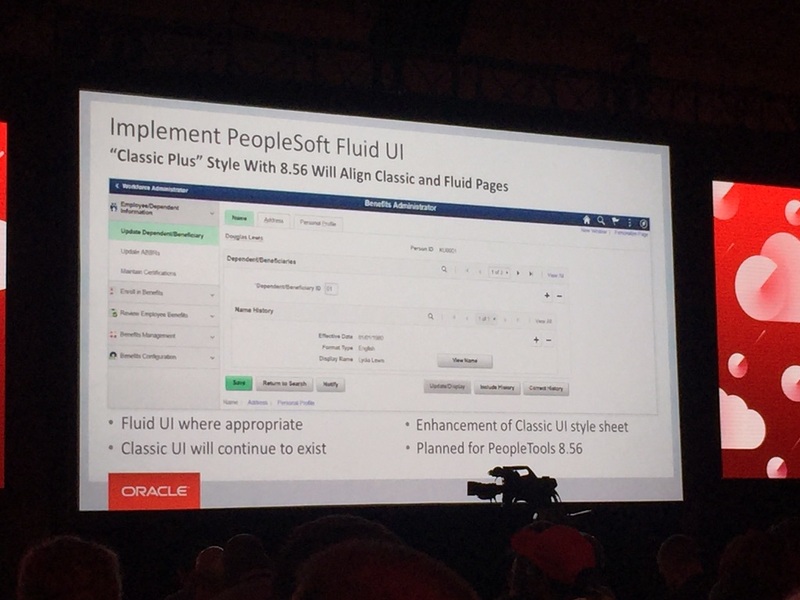 One important note to be made is that Oracle idea is to gradually remove support for those traditional UI pages that have Fluid UI counterparties. 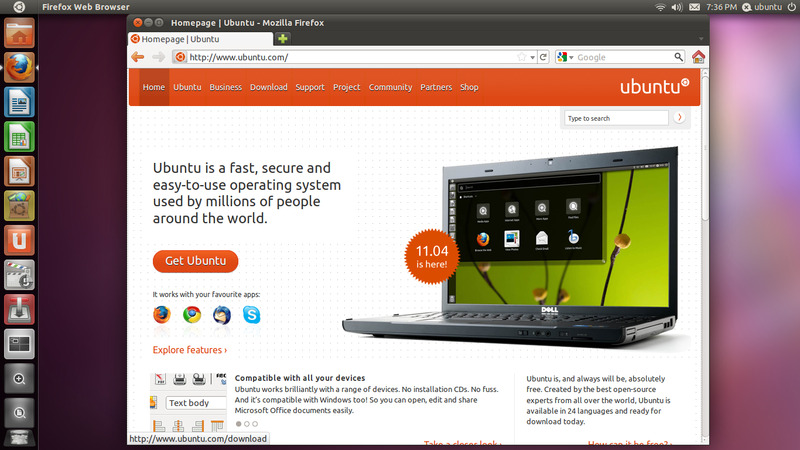 So, if you are not yet in Fluid UI, you should start seriously considering it. 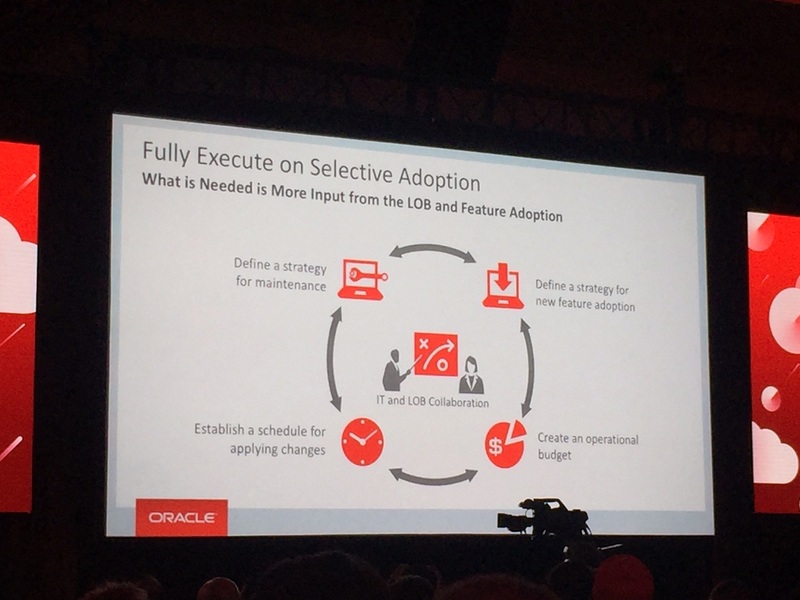 Oracle would like to see more and more customers taking advantage of the Selective Adoption delivery model. 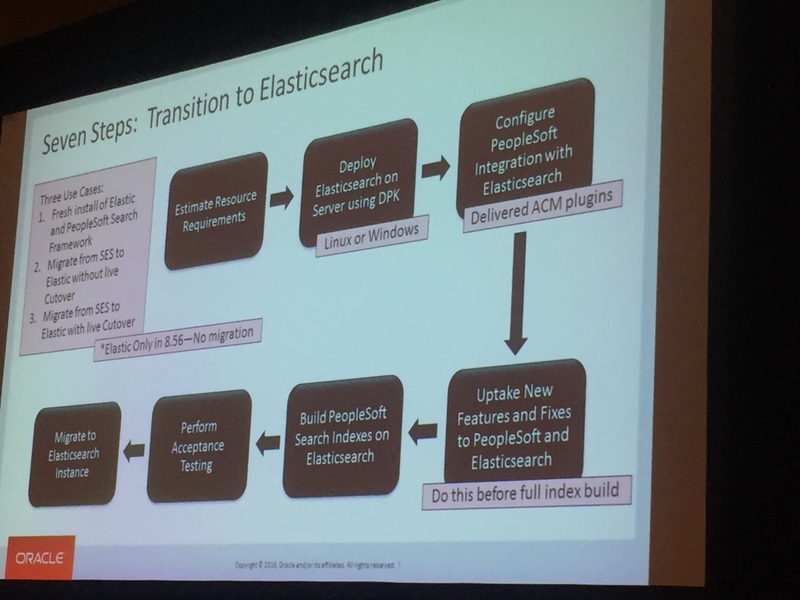 Jeff Robbins gave an interesting presentation on how this actually means to build a DevOps organisation in synch with the PeopleSoft Support and Development team. 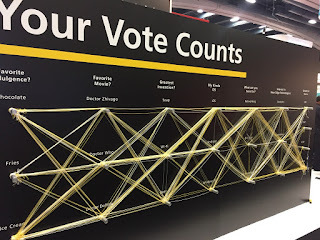 Looking backwards, Oracle has introduced in the last few years a lot of improvements in order to make Selective Adoption easier, like the use of Oracle Cloud for Update Images or the capability to identify those enhancements not affected by customisations. From my point of view, the key barrier to implement Selective Adoption remains the maintenance procedures at PeopleSoft customers. Selective Adoption has not only changed the way we apply patches and enhancements to PeopleSoft applications, but also the way we should budget and plan our maintenance efforts. A key announcement made during these sessions was that PeopleTools will not be delivered for the moment using the Continuous Delivery model, so we should expect to see a PeopleTools 8.57, 8.58 and so on. This contradicts the announcement made during last Oracle Open World, but I do not think it is necessarily bad news. 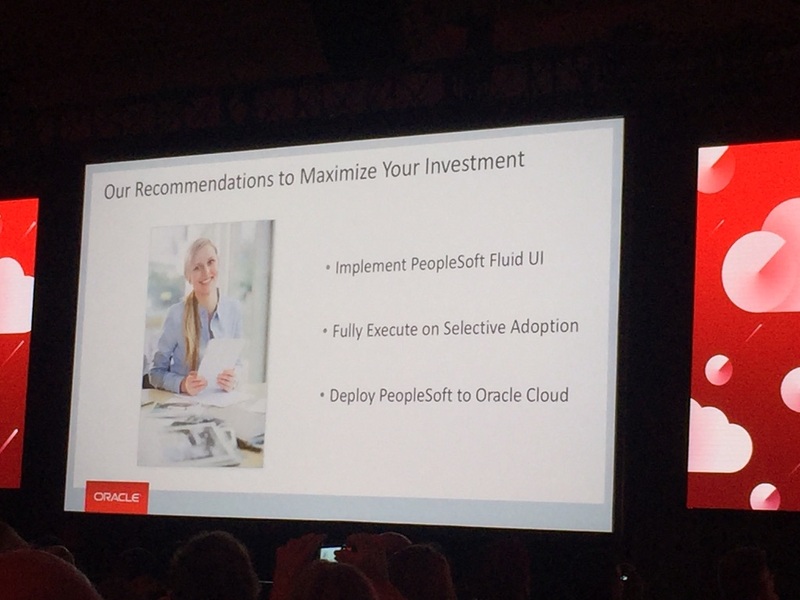 Last Oracle Open World we heard a lot of announcements related to making PeopleSoft easier to deploy in the cloud. As Graham Smith said during his session on Monday, PeopleSoft has been always able to run in the cloud, but now it is just easier to make the transition. 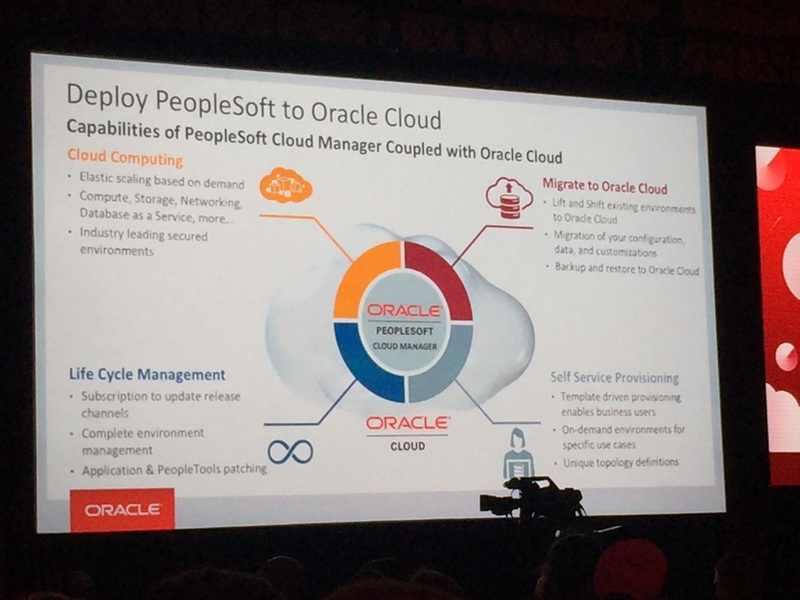 In this edition of Oracle Open World, one of the main announcements for PeopleSoft is the new Cloud Manager. 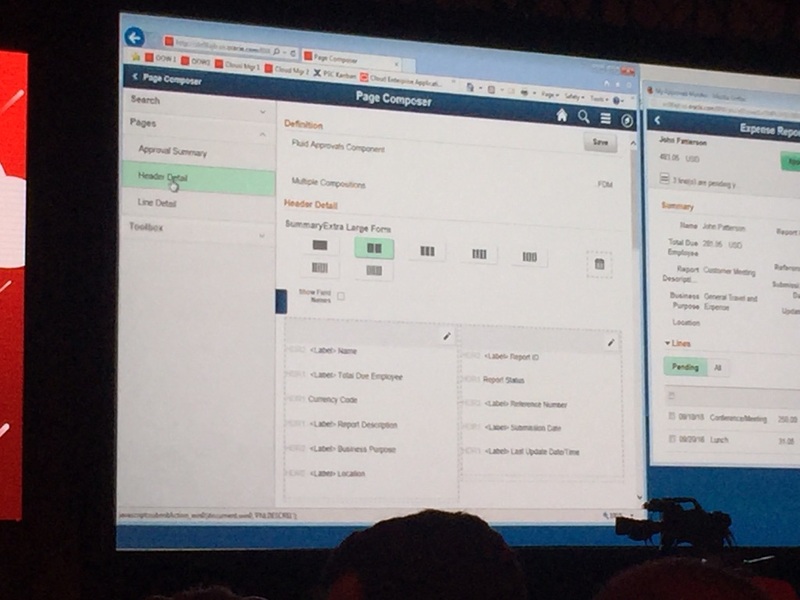 This will be particularly useful when using Oracle Compute Cloud as the IaaS/PaaS platform. 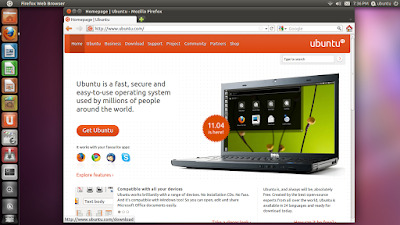 Subscribing to updates and applying them automatically in Demo enviroments. Quickly provision new environments for specific purposes such as development, testing or training. 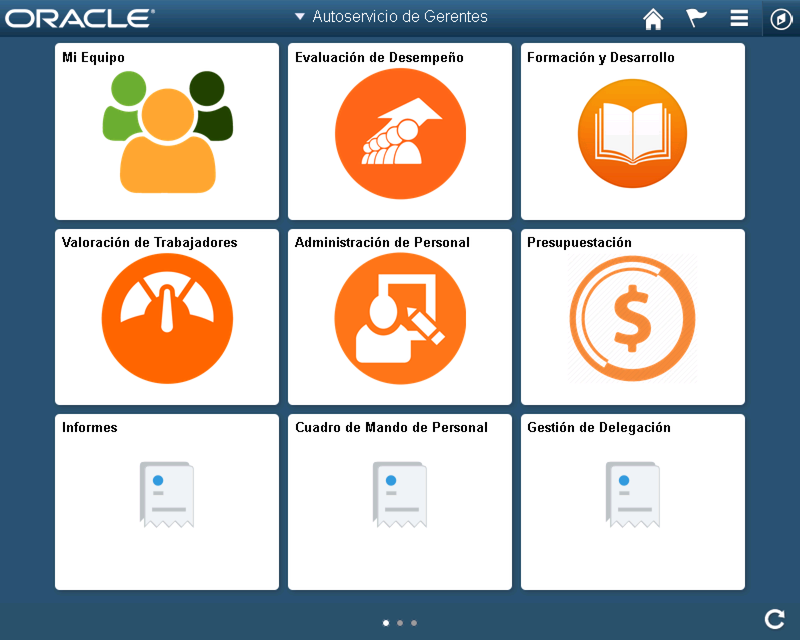 Lifting and shifting PeopleSoft Dev/Test instance to the Oracle Cloud. 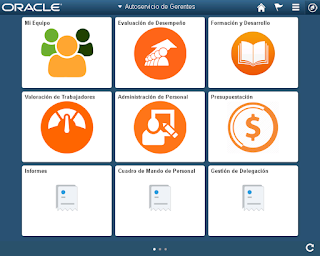 All in all, and although I have always been a happy user of Amazon Web Services, Oracle's Cloud value proposition for PeopleSoft applications seems to be getting better and better. This time I did have some time to visit around the exhibition halls and different booths. Wednesday looks exciting with sessions and the Appreciation Event (I hope this time I do not lose my wristband like in 2014). In the meanwhile, I leave you some pictures. Keep tuned for more updates! Shouldn't it be in the clouds? In every crisis there is an opportunity. This is what I thought as I woke up for the second day in a row before 2.30am due to my jet lag here in San Francisco. 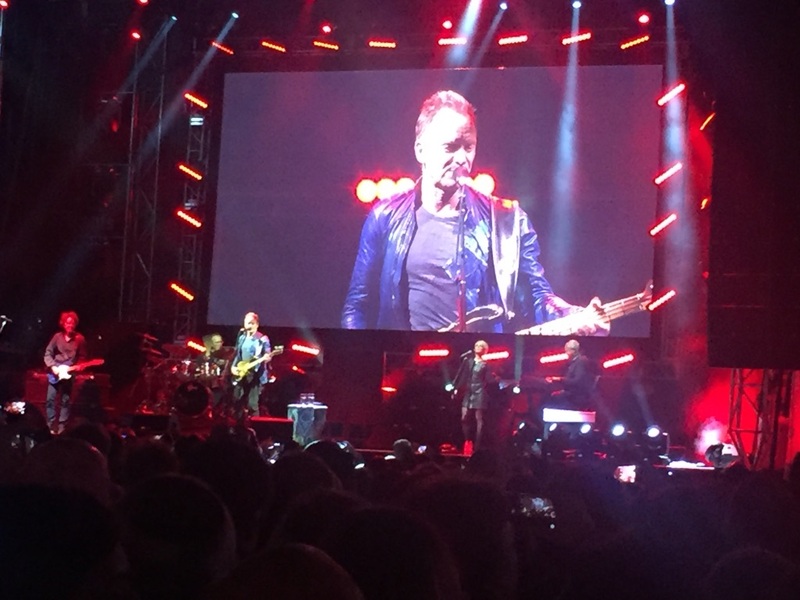 So I decided to use this marvellously quiet time to write my first blog article about my experience here at Oracle Open World 2016. Sunday was good to warm up our engines. We completed the event registration. 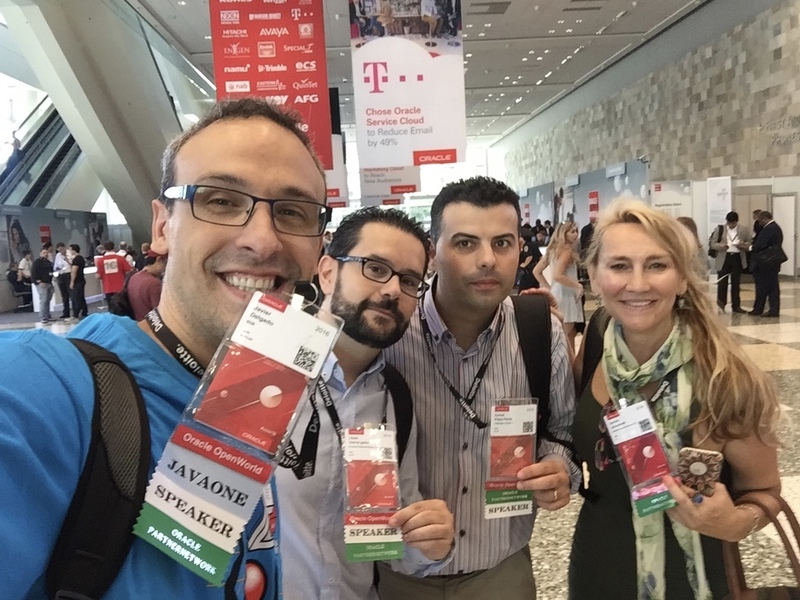 I am saying we because as I was very lucky to come here with two of my colleagues (César García Galán and Carmen Larrumbide) plus Daniel Plaza from Consum. Unfortunately I missed Sasank Vemana's session on Sunday morning on hacks for PeopleSoft Development. I read on Twitter that it was a great session. On Monday I had the opportunity to meet Sasank personally and it is easy to see he has a lot of knowledge share (you can check his blog for some samples). Then I attended a very interesting session on PeopleSoft HCM Networking [SIG7845] conducted by Christina Yue from the Quest International User Group. I found this session very valuable, mainly because of customers' willingness to share their experiences and challenges with PeopleSoft HCM. The number of times he mentioned Workday as a way to compare Oracle Cloud Application growth against theirs. I have attended the same opening keynote two years ago, and it is surprising how much the time dedicated to hit Workday increased. I guess this is the ultimate recognition of the strength of the competition between them, which I think it is good for the industry. The focus on making Oracle a leading provider of Infrastructure as a Service, directly competing with Amazon Web Services. This will be a tough one for Oracle from my point of view, but one thing you cannot deny about Larry is that he is never shy on the challenges he picks. Monday was more intense from a PeopleSoft point of view. I have attended a couple of general sessions in which you could sense that on premise applications like PeopleSoft are totally secondary in Oracle applications strategy. 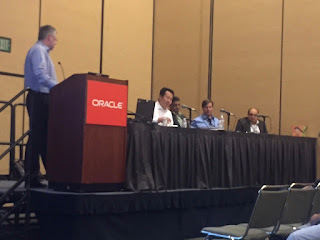 Still, I have to say that the PeopleSoft team at Oracle did a great job putting up a great sessions agenda for this event. 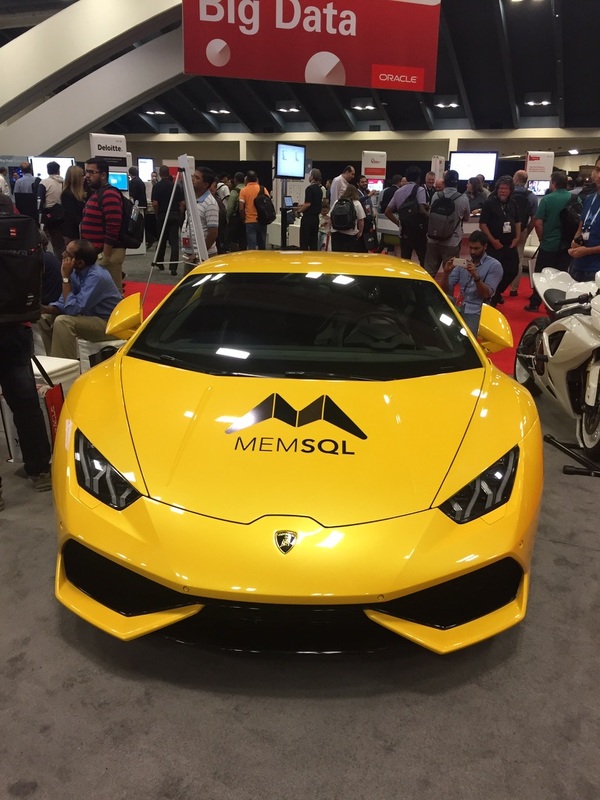 So kudos for Marc Weintraub and the rest of the PeopleSoft team at Oracle. Also some interesting announcements were made. I've particularly found interesting the launch of Spotlight Series videos giving in-depth reviews of certain topics. You can find them in PeopleSoft Information Portal. 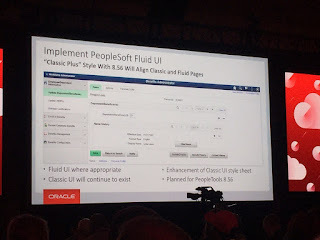 Another very interesting announcement is that sample PeopleSoft Test Framework scripts will be delivered with PeopleSoft images from now on. You can check this in My Oracle Support. 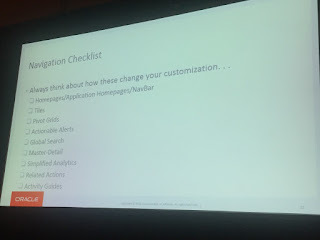 Just a bit later, I attended the great Graham Smith session on PeopleSoft Cloud Architecture and its Practical Applications and Use Cases [CON3672]. 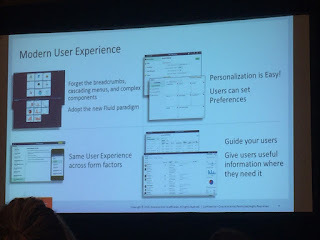 I have always been a fan of Graham's PeopleSoft blog, so being able to attend one of his sessions was a great experience. There are more of his sessions to come, so this is just the beginning! 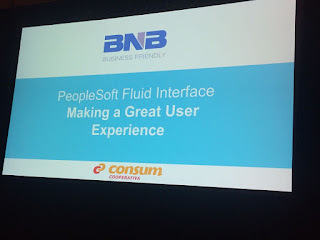 My day ended with our own session about how we improved User Experience through the use of PeopleSoft Fluid [CON2405]. This was my first experience presenting at Oracle Open World and it certainly was a great one. I would like to thank Consum and Daniel Plaza for giving us the opportunity of sharing the lessons learned in our Fluid project with them in this session. The only thing I regret about speaking at Oracle Open World is that our session was at the same time Jim Marion's one: Getting the Most of PeopleSoft: PeopleSoft PeopleTools Tips and Techniques [CON7070]. I guess it was a great one as usual. I can't wait until his presentation is released in the conference site! This is all for today. Stay tuned for other updates. I would prefer sleeping a bit more, but acceptance is the way to happiness. This year I will be attending again Oracle Open World, as I did in 2014. I'm really looking forward learning what is new in PeopleSoft and networking with lots of interesting people from around the globe. However, this year will be special for me as we will be presenting one of the sessions. The presentation will be delivered by César García Galán, a fellow consultant at BNB, Daniel Plaza Pardo, PeopleSoft HCM key user at Consum Cooperativa, one of the leading retailers in Spain, and me. 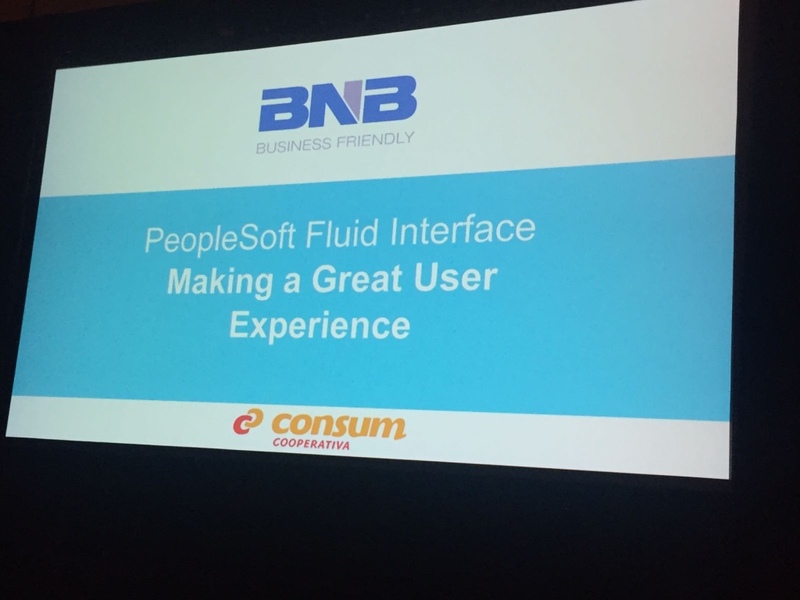 The session will be about how Consum is investing on Fluid user interface in order to improve the user experience. It will take place on Monday 19th September at 4.15pm. 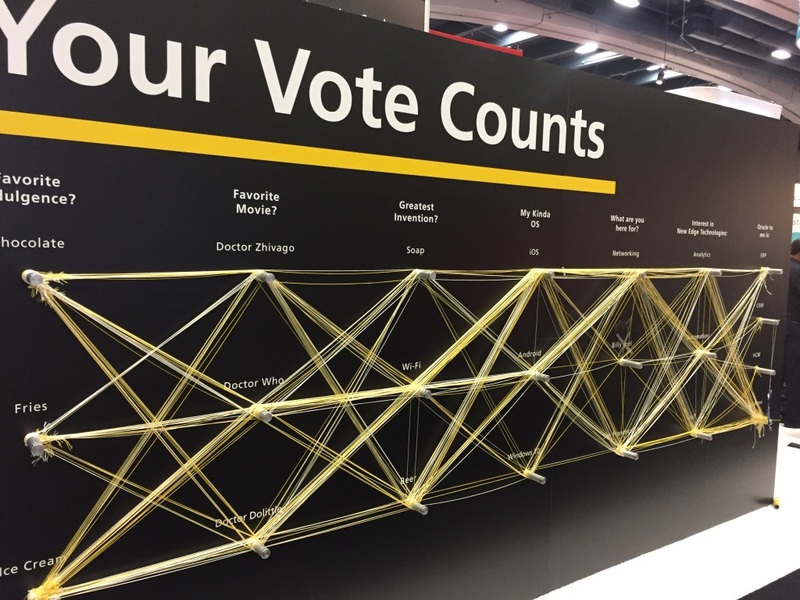 If you are attending Oracle Open World and interested in taking part of the sessions, please register on session CON2405. I hope you can make it! Unfortunately, the customer could not take advantage of the Master - Detail Framework as they are on PeopleTools 8.54 and this functionality is only available in release 8.55 (which is more complex to upgrade to as Crystal Reports are no longer supported). So, we decided to build a custom component for our nested landing pages. The component would be called again and again with different URL parameters, in such a way the history could be maintained and the user could go to the previous step instead of going back all the way through the top landing page. As we were reusing the same component, we needed to adjust the page title in PeopleCode. There involved not only updating the page title itself, but also making sure the back button showed the title of the previous page. This code needs to be placed in the page activate event. If placed anywhere else, the standard PT_HEADERPAGE Activate code will override the title back to the default one. Another option is to create a custom header page and add it to the component, but at least from the back button functionality point of view, it did not seem an easy solution.